Fixed Rate Mortgage: Refinancing a home with a fixed rate mortgage offers consistency that can make it easier to set a budget because the mortgage interest rate and monthly payment stay the same for the entire term of the loan. FHA Refinance Program: If you currently have an FHA loan, the FHA Refinance Program can be an easy way to lower your debt and interest rate. Using the program, a borrower can refinance debt up to 95% of the home's value. VA Interest Rate Reduction Refinance Loan (IRRRL): A federally insured loan program that helps veterans refinance their existing VA Home Loan into a loan with a lower interest rate. This loan has accessible loan qualifications and provides a great way to lower monthly payments. Since each loan has different guidelines, it's important to work with a loan consultant who can assist you with selecting the right option for your financial future. If you applied for a mortgage with a low credit score, your interest rate may be higher than the national average. When you pay down debt by making timely payments and practice responsible borrowing, your credit score can increase, which means you can qualify for a better mortgage interest rate. There are several loan programs available for consumers who have had impaired credit; so it's important to discuss potential options with a refinance specialist. A reverse mortgage allows home owners who are 62 years and older to enjoy a dream retirement by turning home equity into cash. 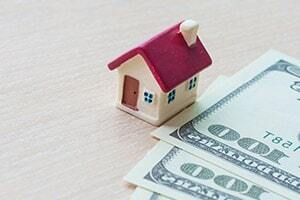 A reverse mortgage usually provides extra money that can be used for traveling, covering healthcare costs, eliminating debt, covering home improvement costs, and more. The loan allows you the option of receiving the income as monthly payments, a lump sum, a line of credit, or a combination of all three. Refinancing or withdrawing your home's equity may increase the total number of monthly payments and / or your total finance charge; so it's a good idea to discuss options with a loan profession before making a decision. Call us at 1-800-890-1057 for help today!